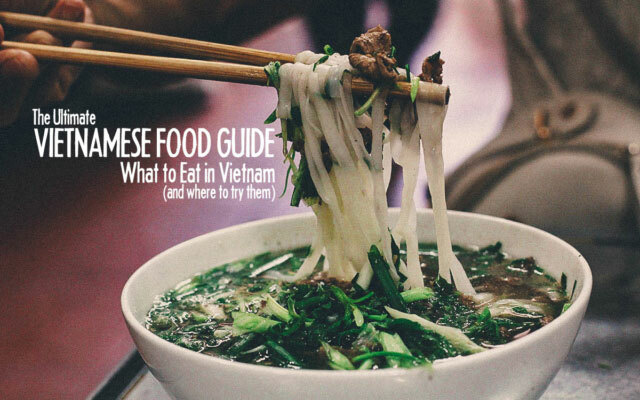 Vietnam is rich in culture and street food. Admittedly, I wasn’t too big a fan of Vietnamese food before our trip but I am now. 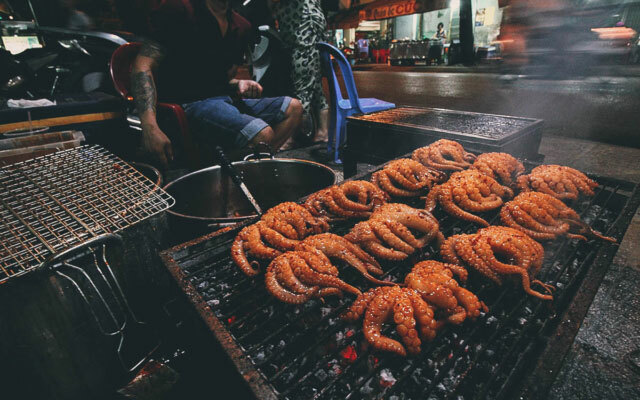 It has some of the best street food we’ve encountered on our travels, and for cheap too! Some of our best memories in Vietnam entail eating delicious food on the street and washing it all down with ice-cold bottles of local beer. Vietnam has long been well-known for having over 3,000 km of coastline and many stunning beaches. 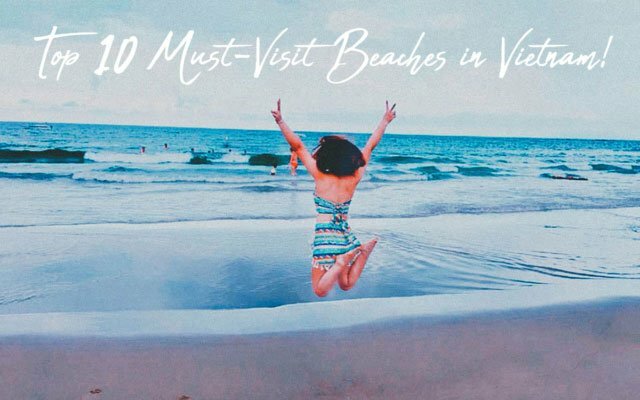 With white sands, crystal clear waters, breathtaking sunrise and sunset scenes, and the best places for water sports, this country is an ideal destination for beach lovers. One of the biggest perks of living in Saigon is the local food. 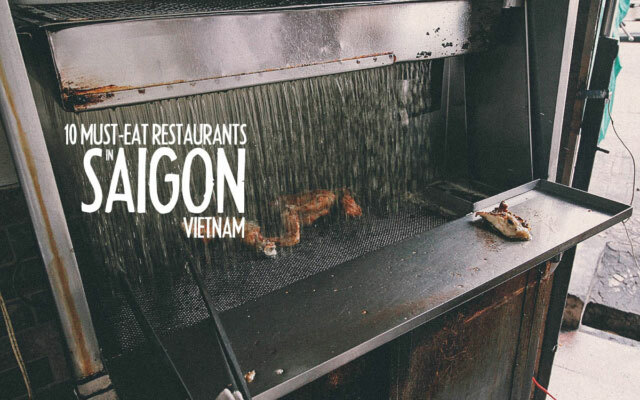 In this article are five amazing eateries around Saigon that many expats may not know about, as well as how to find them in the city’s bustling sea of motorbikes. Saigon's pulsating nightlife didn't appeal to us. What we did find appealing, was the city's vibrant street food culture that exceeded every other destination we had visited in Vietnam. 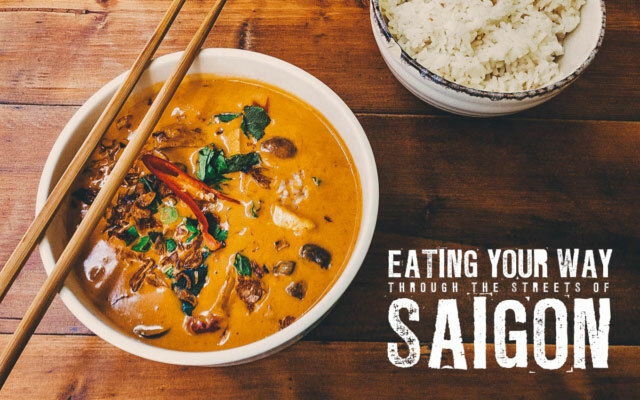 Despite spending little more than two full days in Ho Chi Minh City, we left with some of the most memorable dining experiences from our trip. Hoi An is a city in Quảng Nam Province in Central Vietnam. It’s a UNESCO World Heritage Site that was one of the most heavily-frequented trading ports in Southeast Asia from the 17th to the 18th centuries. 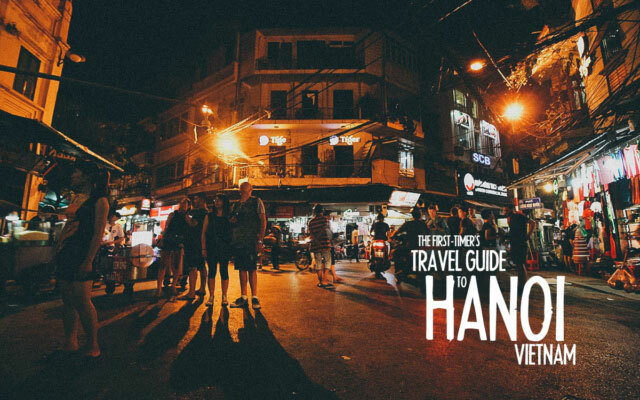 As chaotic and busy as Hanoi can be, its also a city teeming with character. Walk around the Old Quarter for a day and you'll see what I mean. An eclectic mix of foreign influences, you get the sense that this city has seen a lot in its thousand year history. Stick around long enough, and you may just get to hear its stories. 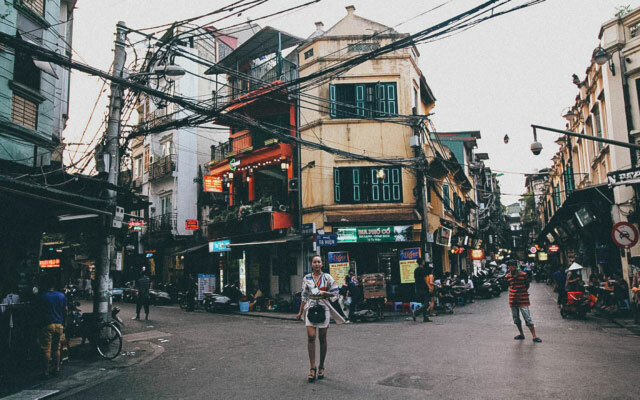 Most buildings in Hanoi have seen better days but if you look past their weathered exterior, you'll find a Southeast Asian city with its own unique story. Obscured by power lines are French windows, decorative ironwork, and vernacular shophouses that narrate Hanoi's rich history. It's an interesting story, if you have time to read the clues. We enjoy eating local food on our trips, but to actually learn how to make these dishes yourself is a different kind of experience. It puts you on both sides of the table and gives you a better understanding and appreciation for the cuisine. If I were to use one word to describe Vietnamese food, it would be "balance". Balance is important in all types of cuisine but it seems to be of particular importance in Vietnamese cooking. 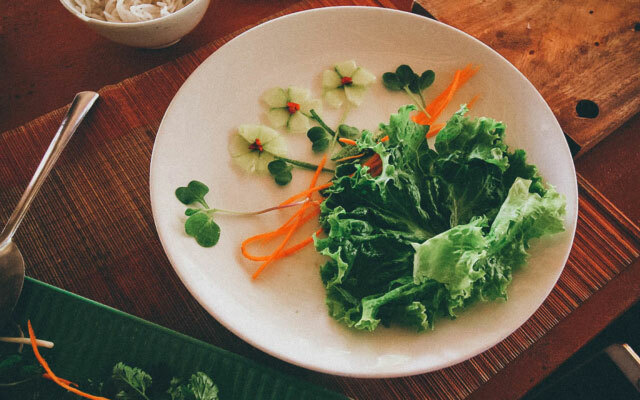 Vietnamese cuisine aims to strike a balance in different aspects of its food like taste, nutrients, and presentation, and it does so by paying attention to five elements per aspect. A UNESCO World Heritage Site, Ha Long Bay is one of the most popular tourist destinations in Vietnam. 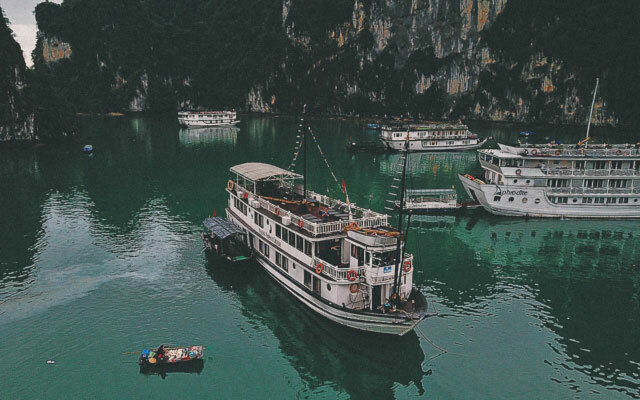 If you'll be spending any time at all in Hanoi and the northern part of the country, then an overnight cruise in Ha Long Bay is a must. M2C is a small chain of upscale cafes in Saigon. One of the cafe's branches – M2C+ Cafe in District 3 – offers more than just cool glasses of cà phê đá. They have a handful of rooms on the building's top floor which they rent out to travelers on AirBnB. Before we touched down in this city, I had little experience with Vietnamese food except for the most basic of dishes like pho and banh mi. I preferred rice over noodles and I hadn’t tasted real banh mi so Vietnamese cuisine was never one of my favorites. But Hanoi changed all that. 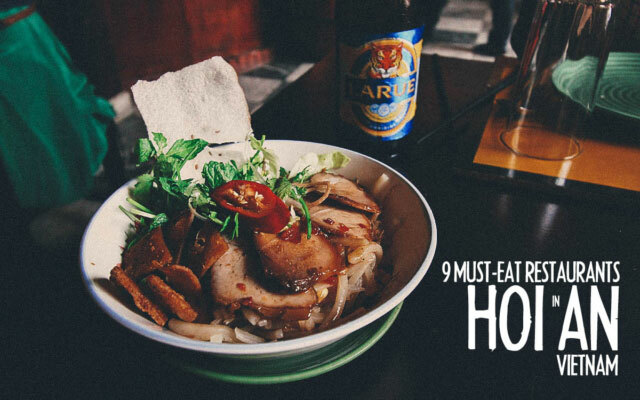 We ate our way through three cities in Vietnam and I found the food in Hoi An to be the most interesting. 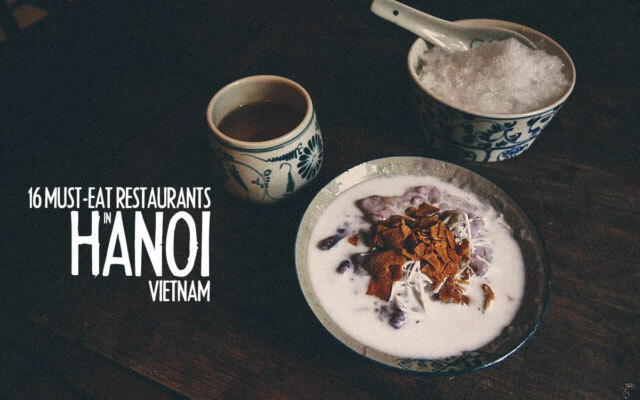 Many of the dishes we tried are local specialties, things like (authentic) cao lầu and banh bao banh vac can be found only in Hoi An and much of it has to do with the ingredients. 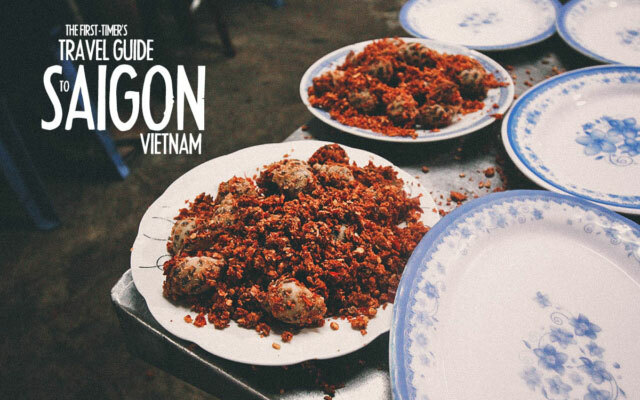 If you're looking for a list of some of the best street food stalls in Saigon, Vietnam, then you've come to the right place. 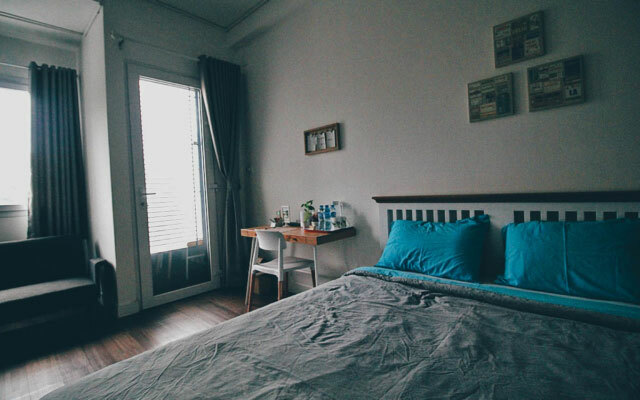 Ngan Phu Villa is peaceful, relaxing, and gives you great value for your money. USD 20+ a night for a room this big with breakfast for two already included is a fantastic deal. On top of that, you get to use their bicycles for free. 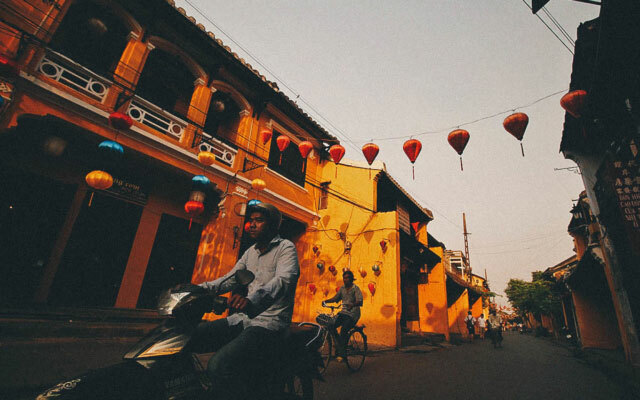 We became enamored with Hoi An the moment we arrived that morning. But at night, with its many colored lanterns all lit up, it transformed into something I wasn't expecting. It looked magical, like something out of a fairy tale. 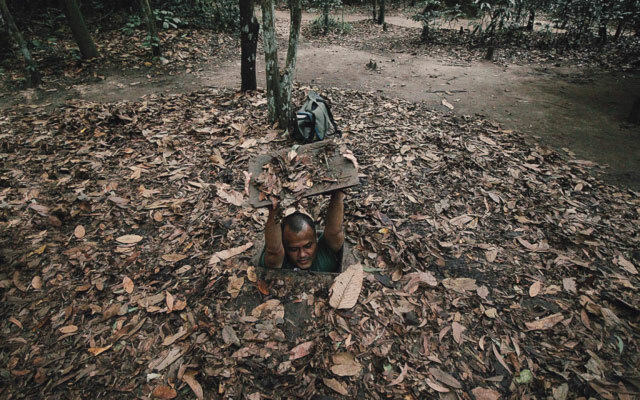 The Cu Chi Tunnels which have become one of the most iconic attractions not just in Saigon, but in all of Vietnam. 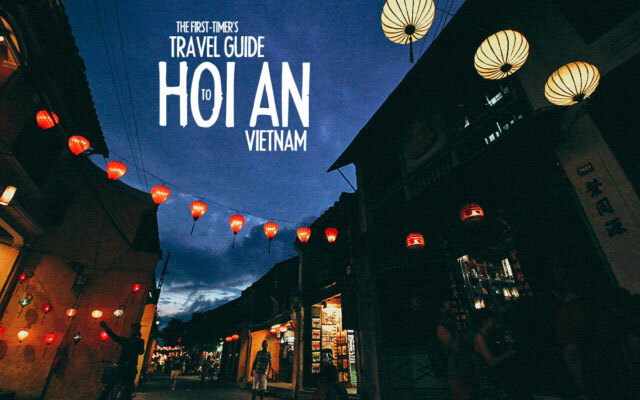 If you'll be spending any time in Southern Vietnam, then this is something you need to do. 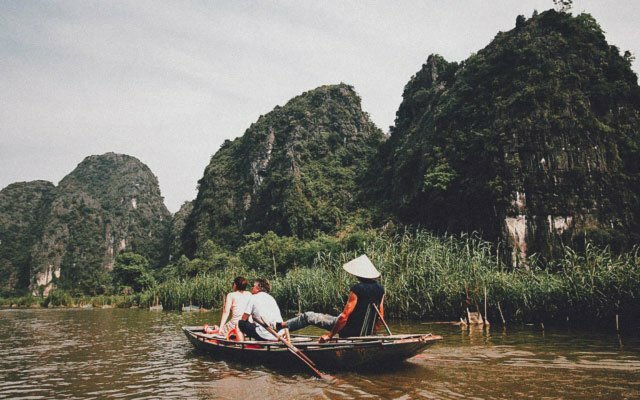 About two hours south of Hanoi in Ninh Binh province, this tour features a boat ride through the Hoang Long River amidst rice paddies and towering limestone mountains on all sides. Like many people, I’ve come to associate these limestone formations with Northern Vietnam so it seemed a great way to spend the day. 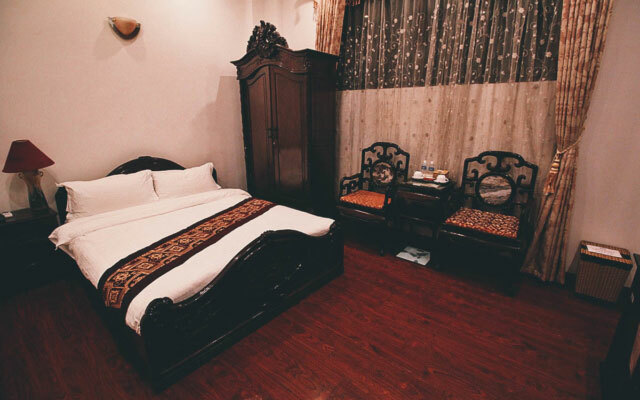 Hanoi Little Town Hotel is located in the Old Quarter so it's close to everything. The Old Quarter is one of Hanoi’s major commercial districts and is home to colonial architecture with row upon row of preserved shophouses. 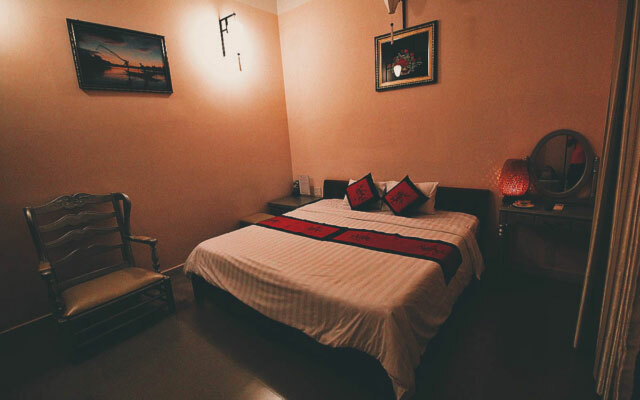 It's arguably the best place to stay in the city. A steady flow of seafood and activity is what you can expect on Vinh Khanh Street in District 4. Known for serving the best street seafood in Saigon, this was easily my favorite dining experience in our two weeks in Vietnam.